In recent years benefits of exercise in Parkinson’s disease have been increasingly recognised. The long-term management of Parkinson’s Disease and it’s varied symptoms is essential to maintain and maximise function in day to day activities. 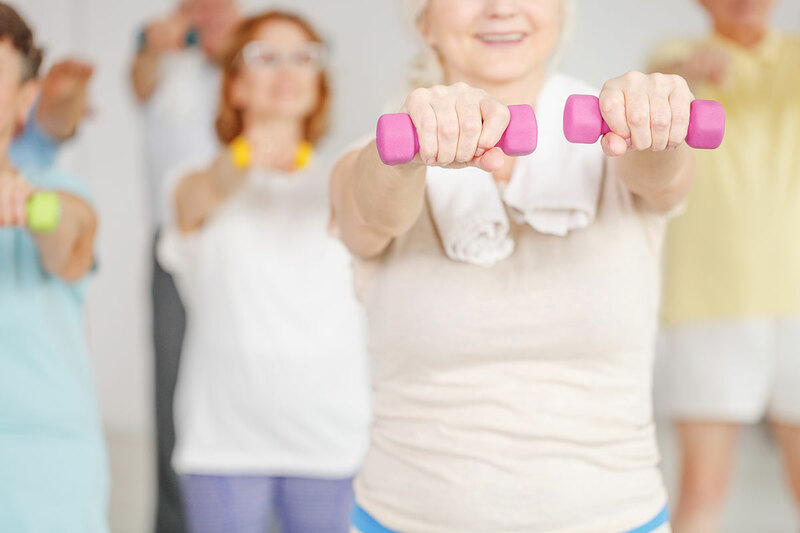 Most people with Parkinson’s disease have medication prescribed to help with the symptoms, but did you know that the right kind of exercise can help slow down the disease process and help people remain independent and active. Exercise may prevent the need for increased doses of medication for a longer period. As with every neurological condition, this may be different in every case. It is also dependent on the stage of the disease. While, one-to-one sessions with your Physiotherapist are important to address specific problems, a class is an opportunity to work the body as a whole and focus on more global and aerobic movements. Moreover, it is an opportunity to meet other people with the same condition and share experiences together. The classes are aimed for people with mild to moderate symptoms. People with more severe symptoms can sometimes work up to a level to be able to join in with the more basic exercises in a class. A pre-assessment is necessary to be able to determine the severity of your symptoms and the suitability for the class. When, were and how long are the classes? Hull classes are based at Warner’s Health Club, 80-86 Pickering Rd, Hull HU4 6TE. Classes are run (and paid for) in 6 week blocks and each class lasts for 55 mins. Early booking is recommended to avoid disappointment. All the equipment necessary for the classes will be provided but we do advise to bring a towel and a drink with you. If you are diabetic, we also suggest that you bring a snack. Can my carer or relative attend with me? This is at the discretion of the Physiotherapists running the class and the size of the studio. In most cases we welcome carers and relatives in the class. Who will be running the classes? Classes in Hull will be run by Neurological Physiotherapist Jo Griscti. She qualified as a Physiotherapist in 2006 and has been treating patients with Neurological conditions for the past 8 years. Jo is also a trained PD Warrior instructor and also has knowledge of other Parkinson’s disease specific exercise programs like PWR! Moves and LSVT Big. Classes in York will be run by Neurological Physiotherapist Sarah Baxter. She qualified as a Physiotherapist in 2005. Sarah been specifically treating patients with neurological conditions for the last 10 years. She has undertaken training in the PWR Moves and PW warrior concepts and is a member of the Association of Chartered Physiotherapists in Neurology (ACPIN). If you are interested in talking to Jo or Sarah about the PD classes or would like to book an assessment in order to attend the classes, please call our office on 08008600138.